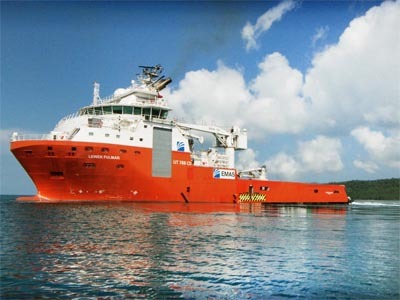 EMAS Offshore Limited, formerly known as EOC Limited, made its debut on the Main Board of the Singapore Exchange Securities Trading Limited (SGX-ST), placing it as the first company to dual-list in Norway and Singapore for capital raising. The secondary listing on the SGX-ST will support the Group’s growth plans, and provide the Group with a platform to tap the Asian and European markets. “We are delighted with the successful listing of EMAS Offshore on the SGX-ST Mainboard. We would like to thank our investors for their support and confidence in the Group’s growth prospects. We were among the first in Asia to develop deepwater capabilities and this has allowed us to capture a significant market share in the deepwater segment today. We will continue to leverage this first-mover advantage and our inherent innovating spirit to stay ahead of the curve” said Mr Lee Kian Soo, Executive Chairman, EMAS Offshore.